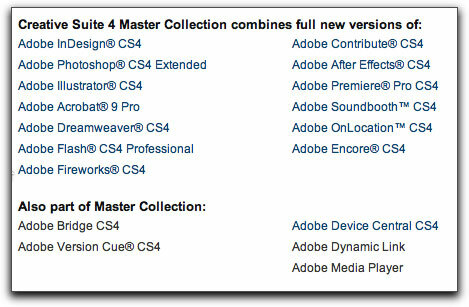 It wouldn't surprise me if anyone installing one of the new CS4 Suites from Adobe had different views of the many new features employed within any of the upgraded applications. Depending upon their needs, editors will certainly have varied perspectives. After all, we focus upon the tools we need and use. 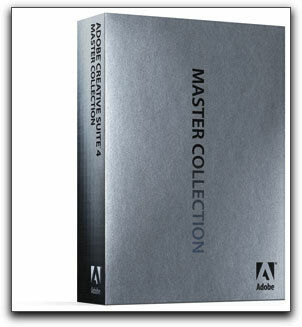 The Adobe Master Suite is actually a complete collection of all the applications found in each separate suite issued from Adobe. There are other collections such as the Production Premium, The Design Premium and Web Premium, which contain most but not all of the applications, depending upon the Suites' theme and purpose, and for many, these other suites might just be all you need. In addition, all of the applications other than OnLocation CS4 and Encore CS4 can be purchased separately. Of course, with each suite there is a different pricing structure so you are able to pinpoint your creative essentials and at the same time limit the amount of money you would be shelling out. For those who are upgrading from Creative Suite 3, a special introductory offer, at a lower price will apply. This offer can be found at www.adobe.com/creativesuite. While I would have to work through several current and new projects to discover and have need for many of the new features, this review will focus as a general overview of many of them, not necessarily covering each application in full detail or passing judgment. I'd be 80 before I was done with covering all there is, and by then new versions would be out anyway. 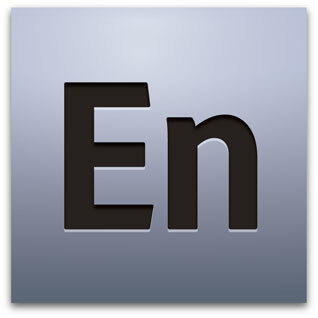 Having returned to the Mac platform since CS3, Adobe's Premier Pro has made significant gains for Intel-based Macs and has brought a considerably greater integration of all its applications much in the same way Apple's Final Cut Studio continues to do. 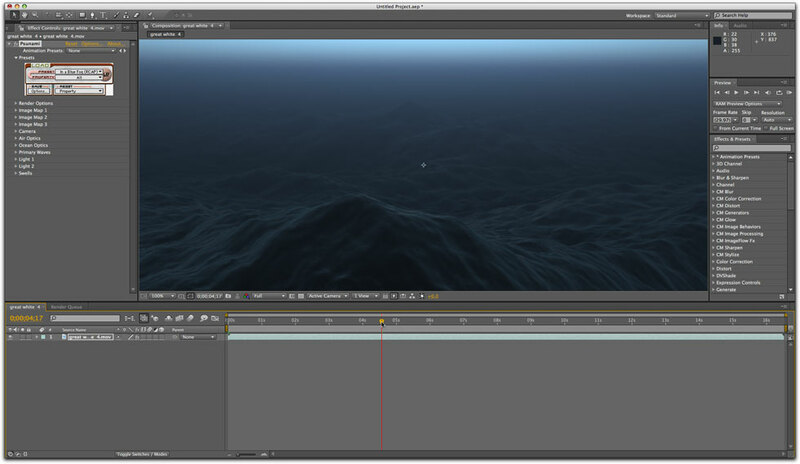 You can now, for instance, bring a Premier Pro sequence into Adobe After Effects and back. Most of the applications now have a common search field similar to Apple's Spotlight, which makes locating files, folders and other media simpler to do. 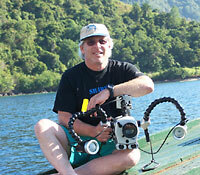 Unlike Final Cut Pro, Adobe Premier Pro will now work natively with AVCHD, HDV, P2. This is a heck of an improvement, especially to the many videographers moving to AVC HD camcorders being released by Panasonic and Sony. It is certainly not a feature that should be overlooked. In addition, Adobe is currently working with Red Cinema to develop a plug in which would enable Premiere Pro and After Effects editors to edit with Red's R3D camera raw files. It is not included in the suite but is something on the, hopefully, near horizon. At first, startling to me was new Audio-to-Text function, which converts audio to text and allows you to search for and play back different sections based upon the text content. This new feature has tremendous potential to quickly enable the editor to locate relevant portions of the video. Remember that I said "potential" as, at this stage in its development, depending upon the audio itself, it is not gotten to the point of complete accuracy. A second use for this feature is to transcribe the audio to text for use as sub-titles. This would mean using the window found within to locate the exact audio you are seeking and copy the text over to a word processing application and performing a transcribe to text operation using the transcribe button. Using Adobe's Soundbooth application, its audio editor, which comes with most of the varied Adobe suites, can also do this. It was definitely a bit confusing to me at first and, as I said, not always very accurate in locating what I was seeking. However, the feature is a good start which can eventually cut your workflow time significantly as Adobe evolves its functioning for the future. Soundbooth has also evolved. As before it was just a two track audio tool, its' current CS4 version has moved on up to a fully multi track audio application designed to be completely integrated with Premier Pro editors as well as Flash Professional by web developers and designers. 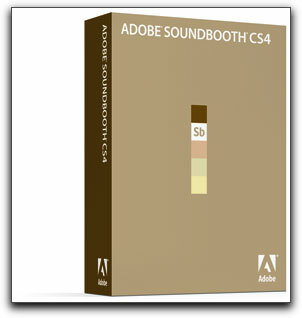 Soundbooth CS4 has been developed with task loading in mind. These tasks focus not only upon audio recording, but audio clean up, mixing, and editing supplemented by a good selection of effect filters where in custom adjustments can be made, or the use of presets, divided by task assignments, can be applied. Included in the new CS4 Master Collection is the new Adobe Media Encoder which functions as a separate application now allowing you to batch render, line up different versions of projects, and clips to be encoded in the format(s) of your choosing. 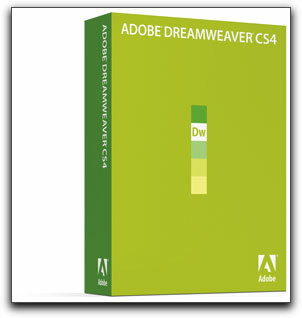 I have never been a real user of Dreamweaver, which has been languishing around forever, but Adobe went to work on it creating improved support for H.264 encoded video in conjunction with improved integration with Flash CS4 and the Adobe Flash Player 10. 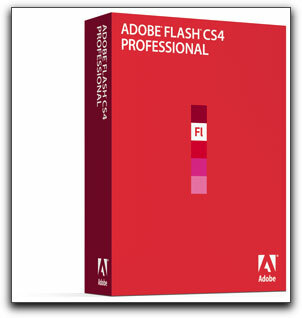 Adobe Encore CS4 works with Flash and also lets you author Flash Projects, standard definition DVDs, and Blu-ray high -def DVDs from a single project file. In the CS3 version, you could author Flash files but they were limited to 640x480 window sizes; no limitations with Encore CS 4. However, for the Mac user, until Apple and Sony get this Blu-ray licensing situation settled (and it doesn't look like it will happen any time soon) the ability of Encore to burn Blu-ray, for those limited to Mac accessibility, is a feature they will not be able to access without 3rd party Blu-ray burners. I don't thus, I have not tested its' Blu-ray burning abilities. Proceed with caution. I was anxious to see what Adobe had done with one of their premier applications, After Effects. Especially for the After Effects user whose projects become crowded with layer upon layer, the new live search function can be a godsend, enabling you to locate various project elements, effects, properties and more in an instant. Easily compared to the Find Unused media or Find Master Clip in Final Cut Pro, this function allows you to avoid the endless scrolling and opening up layers to locate their contents. Very helpful, the addition of the search feature should save you plenty of time. I continue to enjoy the appearance of the default interface as I find it restful to the eyes. Some subtle but useful changes to the interface. Additionally, After Effects CS4 now has its own Cartoon Effect, so popular lately, as well as independent key framing of the X, Y, and Z positions and other 3D compositing enhancements. One new feature in Adobe After Effects that will be appreciated is a new Nested-Comp Navigation control, which allows you to take a composition and place it inside another composition. Nesting can be confusing to some but After Effects supplies a mini-flowchart placed on top of the composition window that allows you to see the nests and show you how they relate to each other. It wasn't easy to locate at first but the nested-comp navigation tool on the upper left of the video shows you the connection between these two comps. To enable it, go to the drop down menu located just below the Workspace menu. Unfortunately, despite greater processor speed on our current evolution of computers and the ability to add almost as much ram as we want, rendering times in After Effects continually run with a glacially slow time flow. 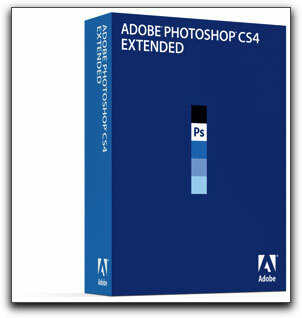 A powerful new technology in Adobe Photoshop CS4 Extended allows you to place 3D objects on layers, paint them using the industry-standard tools in Photoshop, and render them along with the rest of your imagery. 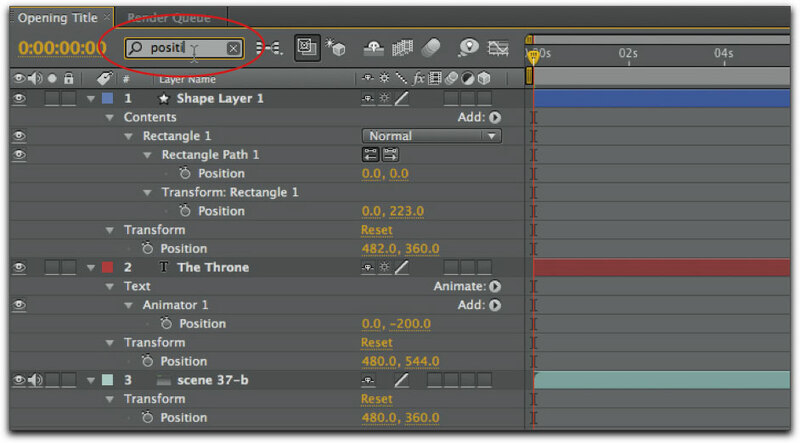 With After Effects CS4, you can import and animate Photoshop 3D layers in your composition, where they can be viewed as 3D objects using cameras in After Effects. You can also apply effects to change the layers' appearance over time, composite 3D layers with other objects (including animated text and shape layers, live-action video, and sound), and render the result as you would any other project element. 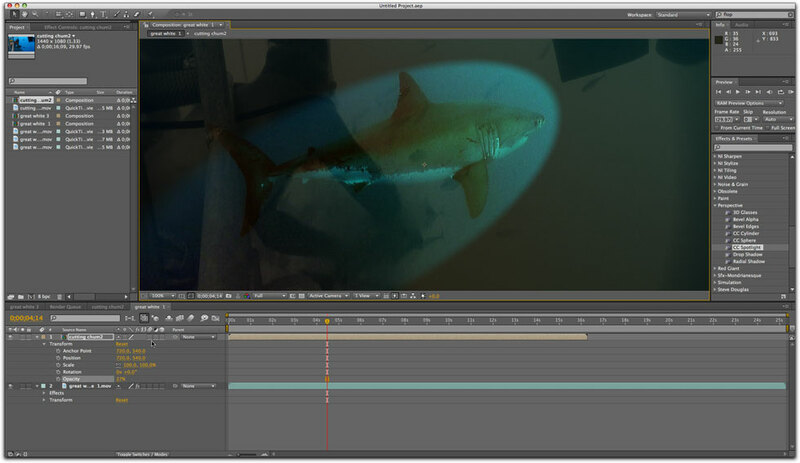 This feature creates a flexible new 3D workflow in which artists, instead of rendering a 3D scene from within a dedicated 3D application and treating it as finished footage inside After Effects, can import and paint objects in Photoshop, import the PSD file with the 3D layer into After Effects, and further process and animate the objects without having to go back to a 3D application and re-render the result. Combined with the Vanishing Point feature introduced in Creative Suite 3, artists have a growing list of options for how they can create 3D worlds without the need to purchase and learn dedicated 3D software. If I have kept your interest to this point then keep a few things in mind. If you have previous versions of any of the Adobe suites, installing a new version will not step on the old. You will have to do a complete uninstall of any previous versions. That said, both versions could co-exist on your computer if you do not mind the extra room it may take up on your hard drive. Should you wish to uninstall an earlier version, your original installer discs have an uninstaller, which can be utilized. It takes awhile but it works. You do not have to install all the applications in a suite if you do not want to. On the initial installation disc you have a choice of 'Easy Install', which will install everything in the suite or 'Custom Install' where you can select which applications you do not want to install by unchecking them. That's a bit backwards but that is how it works. I unchecked a few of the applications I did not think I would be using and they installed anyway. Not sure why that happened, perhaps it was an errant mouse click on my part, however, the uninstall was easy enough. The actual installation of CS 4 went smoothly though one of the discs needed to be ejected and put in a time or two before it could be read. There are a very large number of applications that come with any of the Adobe suites so it would be best to really compare them to each other in order to make the wisest choice for yourself. I must admit that I was surprised the Adobe's Lightroom 2 was not included within any of the suites and must be purchased as a separate standalone application. Once made, you will find that Adobe has come a long way towards making their applications more accessible to the Mac user and even a longer way in creating a far greater integration of its applications within the suite.